Where it started. Our classic, refreshing, great tasting energy drink, formulated to support those who are committed to chasing down their goals with passion and energy. 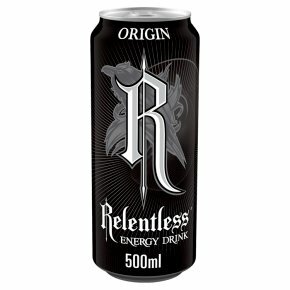 Relentless is an energy drink that helps give you the stamina, focus and drive you need, when you need it. High caffeine Content Serve cold for maximum refreshment. Store in a cool and dry place Please recycle.